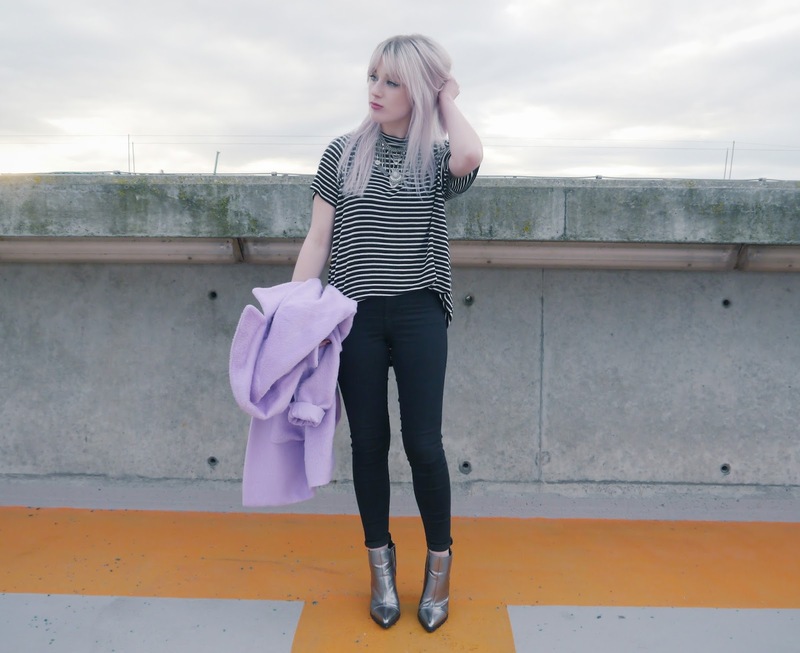 This outfit is just something I've been throwing on to go to uni or on days out like this - you can't really go wrong with black skinnies and stripes! 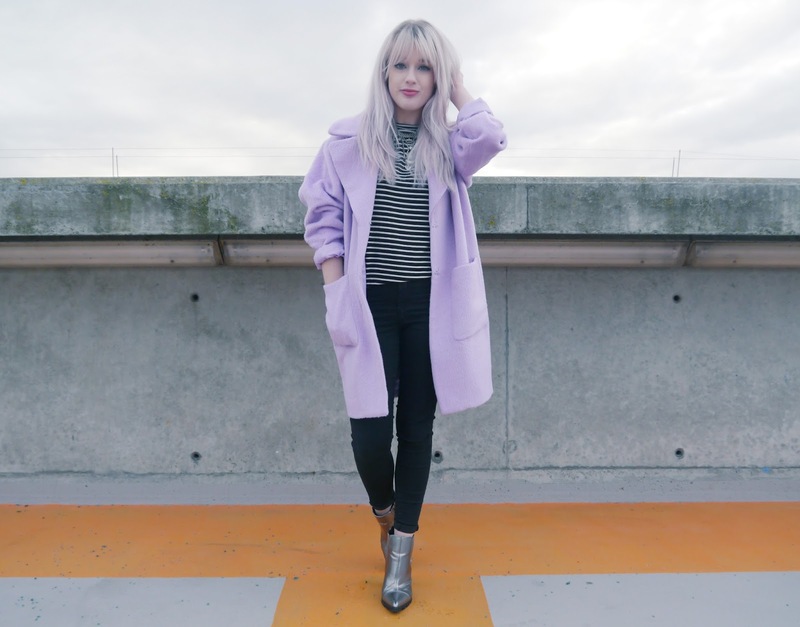 The lilac cocoon coat and silver boots were both birthday presents and along with the statement necklace, add a pop to the basics. Amazing! 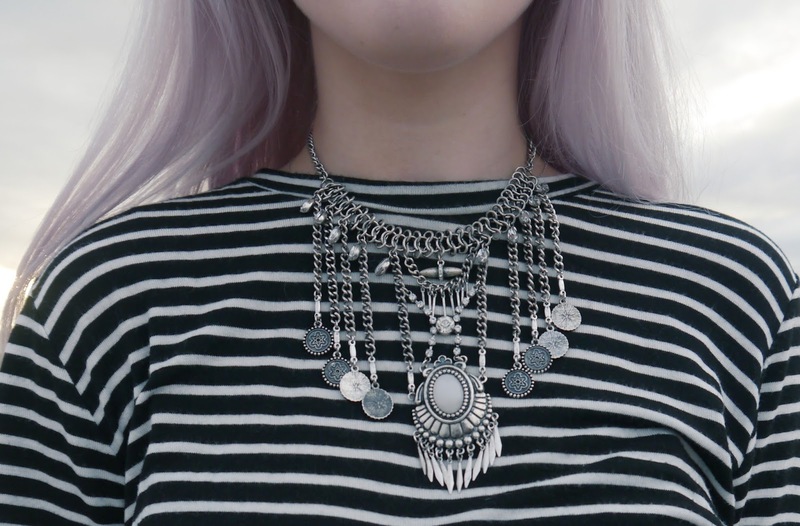 That necklace is totally gorgeous! Cute, love the color of the coat. Adore the coat! 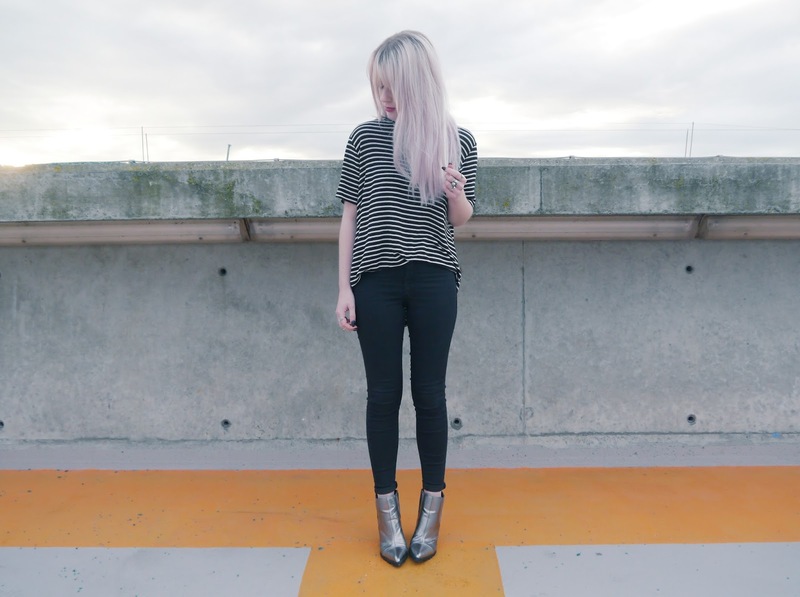 You hair looks super cool at the moment! 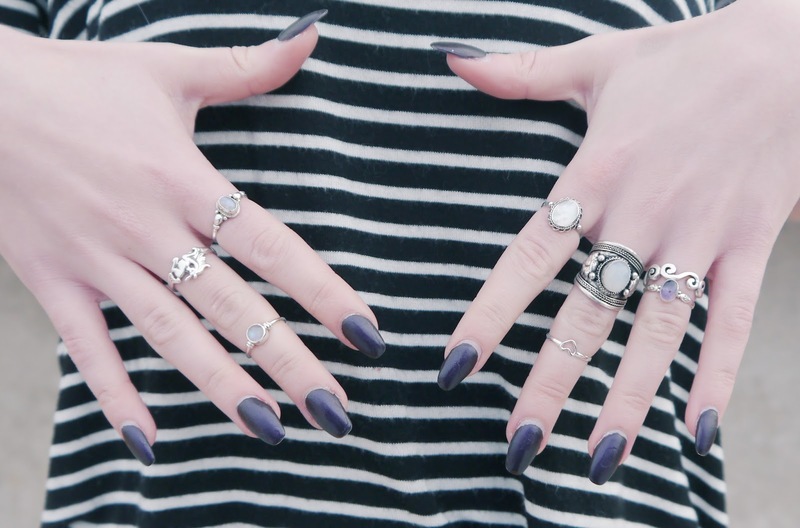 I really like your rings !! Woow it's like… the coat of the winter ! so cool !